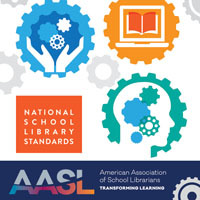 AASL’s advocacy efforts to include school library provisions in ESEA reauthorization are being heard, as evidenced by the following articles. A coalition of more than 20 education businesses, associations and media groups are calling on the U.S. Congress to support dedicated school library funding in the reauthorization of the Elementary and Secondary Education Act (ESEA), which provides federal funding for national K-12 education programs. 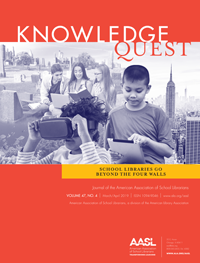 The coalition, which includes Scholastic Inc., EBSCO Information Services, Inc., and the Association of American Publishers, is asking Congress to expand federal investment in school libraries. Specifically, the coalition wants the Strengthening Kids’ Interest in Learning and Libraries Act, which was introduced in January by Sens. Thad Cochran, R-Miss. and Jack Reed, D-R.I., to be folded into ESEA reauthorization. To that end, a jointly signed letter was sent on March 16 to Sen. Lamar Alexander, R-Tenn., who chairs the U.S. Senate Committee on Health, Education, Labor, and Pensions, and Sen. Patty Murray, D-Wash., the committee’s ranking member. My colleague Lauren Camera reports that senators are making progress in negotiations on the NCLB rewrite, with plans to consider the bill in committee during the week of April 13. It’s unclear, however, if the NCLB rewrite will be signed by President Barack Obama this year. Coalition members include Baker & Taylor, OverDrive, Booklist Publications, Bound to Stay Bound Books, DEMCO Inc. and the Junior Library Guild, among others. 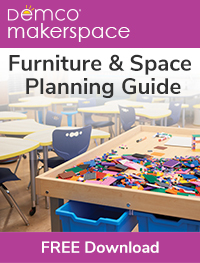 Providing students access to school libraries during non-school hours. “This is not new. This is a continuation of the ESEA from 1965,” said Emily Sheketoff, executive director of the American Library Association Washington Office, in a phone interview. While the authorization for a school library budget has been there, since 2010 the funding has not. Before that, “the appropriated amount hovered around $30 million,” she said. That fact has been making its way into the news more frequently. Recently, Education Week covered the fact that the number of school libraries in New York City has plummeted from nearly 1,500 in 2005 to fewer than 700 in 2014, with the biggest drops occurring in the past three years. The Washington Post found that two-thirds of at-risk students are in schools with below-average book counts. The Post also reported that charter schools are less likely than traditional schools to have libraries. Nationally, data available from the Department of Education’s National Center for Education Statistics indicate that about 8,830 public schools in the U.S. do not have a school library. Among those that do, nearly 17,000 schools lack a full- or part-time state-certified school librarian on staff, according to the American Library Association. While the politicians are hashing out the reauthorization, best-selling author James Patterson recently announced that he is donating $1.25 million through a grant program. School libraries can seek donations of $1,000 to $10,000 each. A coalition of publishers and education and industry groups—including Scholastic and the Association of American Publishers―has called on the U.S. Congress to support the reauthorization of the Elementary and Secondary Education Act, which provides federal funding for national K-12 education programs. Other organizations and companies participating in the joint effort include Baker & Taylor, OverDrive, Booklist Publications, Bound to Stay Bound Books, DEMCO Inc., ESCO Information Services, and the Junior Library Guild, among others. Coalition leaders sent a joint letter to U.S. Senate Committee on Health, Education, Labor, and Pensions (HELP) chairman Sen. Lamar Alexander (R-TN) and HELP Committee Ranking Member Patty Murray (D-WA). The coalition specifically asks Congress to incorporate the Strengthening Kids’ Interest in Learning and Libraries (SKILLS) Act in ESEA reauthorization, which would “expand federal investment in school libraries in order to offer students the tools they need to develop critical thinking, digital, and research skills,” according to a statement released by the American Library Association, who submitted the letter. In a move supported by Language Magazine, a coalition of more than 20 education businesses, associations, and media groups has called on the U.S. Congress to support dedicated school library funding in the reauthorization of the Elementary and Secondary Education Act (ESEA). The coalition is specifically asking Congress to incorporate the Strengthening Kids’ Interest in Learning and Libraries (SKILLS) Act in ESEA reauthorization, which would expand federal investment in school libraries. Coalition leaders sent the joint letter to U.S. Senate Committee on Health, Education, Labor, and Pensions (HELP) Chairman Sen. Lamar Alexander (R-TN) and HELP Committee Ranking Member Patty Murray (D-WA). Recent data available from the Department of Education’s National Center for Education Statistics (NCES) reveals that approximately 8,830 public schools across the nation do not have a school library and, among those that do, nearly 17,000 additional schools do not have a full or part-time state-certified school librarian on staff.